Mappilai Samba Rice is one of the indigenous rice variety which is slowly regaining its popularity among us. If you are confused with the word indigenous and wondering what that means, then the exact meaning of indigenous is native. These indigenous rice variety crops are wonderful crops which suits organic farming, why because they need very less or in some case no fertilisers or pesticides. Expensive cultivation like other common rice variety is not at all needed. Hence gives less burden to farmers. Agriculture eco system is promoted, this happens by yielding straw that are used to feed cattle. They can grow in any local conditions unlike common rice which needs traditional rice growing place. Bundle of benefits is attained from growing these indigenous rice variety but "why farmers hesitate to grow these crops???. Us, the consumers are the reason. We started preferring only white polished rice for our cooking and started neglected those nutrition buddies. So, the commercial market demands only common rice varieties and hence they are forced to cultivate these polished counterparts. But, awareness of other rice varieties and millet varieties are spreading, giving way for organic farming and organic outlets. 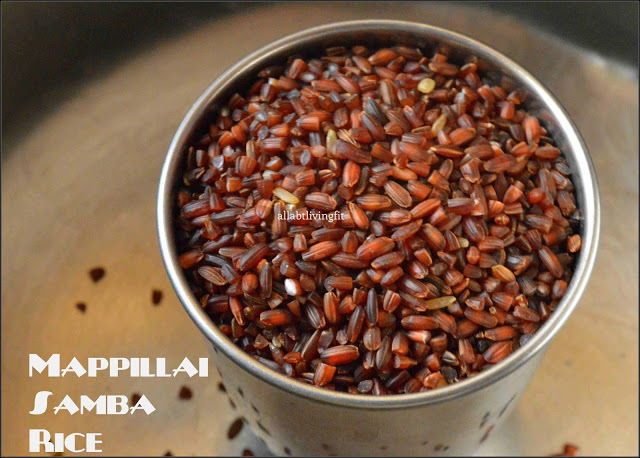 Coming to our Maapillai Samba rice, the name itself clearly represents the usage. This rice has high nutritional value and are given particularly to Mapilai/ Bridegroom to get increased energy. In folklore, the bridegroom is asked to lift a heavy rock to show his power. Hence, this mappilai samba rice is cooked and served to him to gain loads of energy to lift the rock. It is not only restricted to bridegrooms, this Maapillai Samba rice is suited for all ages to gain increased energy. Wondering how to cook???? ?......Can be cooked as rice, or made as Idli, Dosa, upma, pongal etc.